Im a UF Engineering graduate and worked with the Florida Department of Environmental Protection in the NE District as a Compliance/Enforcement Industrial Wastewater Engineer. I eventually moved on to work in the computer field. I worked as an IT Specialist and Warehouse Manager for a sporting goods company for many years. In 2010, I trained as a Peer Recovery Specialist to help people recover from mental illnesses and addictions. Recovery is absolutely, positively possible. I decided to move on but still wanted to help people. I wanted to learn to program iPhone Apps, so I signed up as an iOS Developer with Apple. 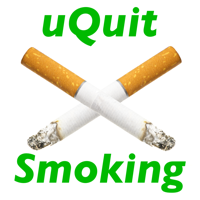 I wrote the Best Quit Smoking App out there, the uQuitSmoking Program. After writing the app, I needed to promote the uQuitSmoking iPhone App so I studied Marketing and Social Media Marketing. I converted the program into a pdf and then redid it again and created this website. The website is a dynamic content website powered by WordPress, using the Parabola Theme. The site has a blog for each step and a Chat Room for support groups on the main pages. Please post your comments about each step, good or bad, I hope the Chat rooms on the Prep Page, Quit Page and Help Page provide support to users that are trying to quit or have quit.Communicating with your peers for support is highly beneficial for people trying to quit and those that have quit. Please use the Chat rooms in a supportive manner. In 2014, I started a new company Digital-Affects.com. I wanted to apply what I’ve learned in the past 3 years, and help businesses enhance and expand there market to a global market by engineering there digital presence.